SNAFU! : Merkava 4 – the Barak, a “dual-use” tank for use in guerrilla warfare conditions as well as fulfilling the role of IDF future tank. 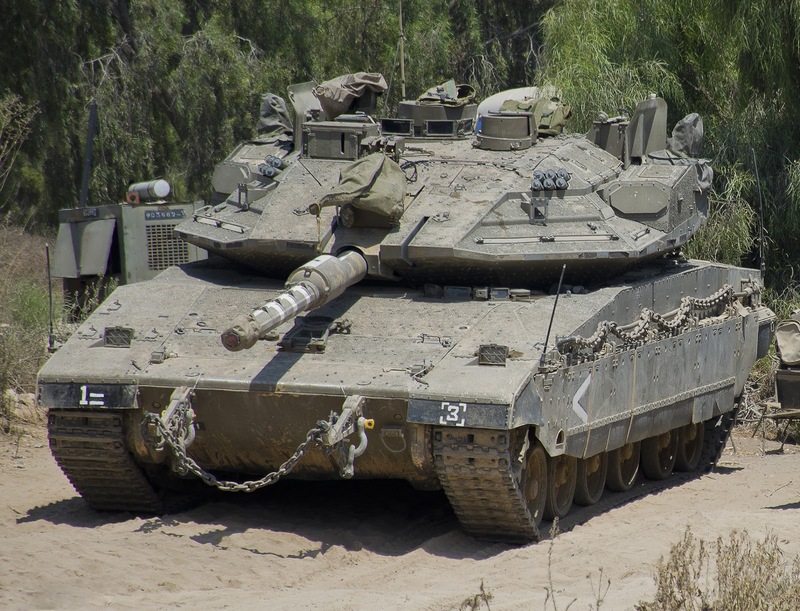 Merkava 4 – the Barak, a “dual-use” tank for use in guerrilla warfare conditions as well as fulfilling the role of IDF future tank. The Israeli Armored Corps has exposed the new model of the Merkava 4 – the Barak, a “dual-use” tank for use in guerrilla warfare conditions as well as fulfilling the role of IDF future tank. This new model reflects an understanding that the theatres of conflict are changing. Brigadier General Guy Hasson, Head of the army’s Armored Corps, said the tank will be unique in “many aspects due to its advanced armor capabilities, as well as the smart AI-based computer that will collect data, fuse it and – together with other sensors – will create new targets on real time”. According to walla.co.il, additional improvements in the new model include increased fire ranges’ as well as an independent training capability thanks to a 3D simulator inside the tank. “The sights have been dramatically improved, new combat systems were installed, as well as driver alerting systems to avoid obstacles on the way just as in advanced automotives. Improvements will enable independent driving, high survivability, as well as urban warfare capability, and changes in the way information is transmitted. Almost sounds like the Carmel Tank has died doesn't it? The article says that the tank will be operational in 3 years. So why not simply wait and get the new hotness they were developing?